Getting lost in Venice’s small lanes is perhaps the best ways to discover it and enjoy some of its spirit. 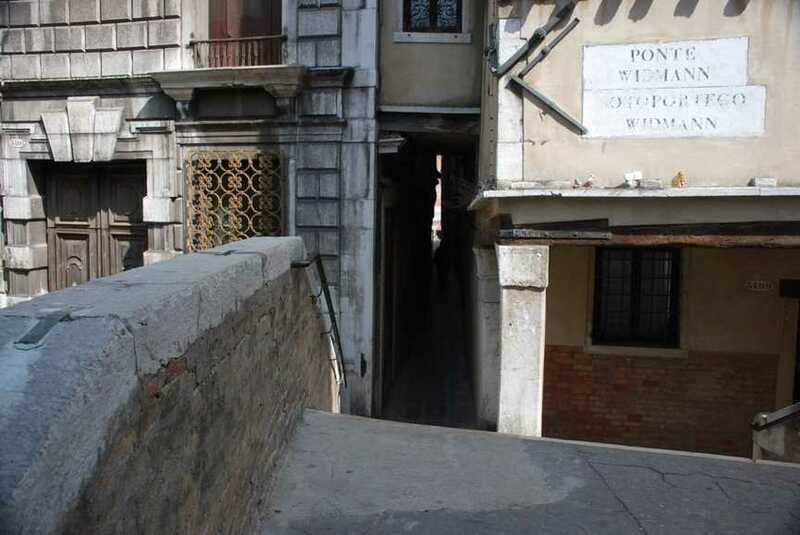 It let’s you discover unusual places which are a bit odd and off the typical tourist itineraries, but still much frequented by the few Venetians left in the city. While heading along the traditional route toward St. Mark’s Square, you only have to detour a bit, turning on to one of the many small streets. After a few steps, you’ll find yourself lost in a maze of narrow lanes. Sometimes, you find some truly narrow places where a single person barely passes. There, you have to hope not to meet anyone coming in the opposite direction. Otherwise, you have to turn around or perform some acrobatic stunts to be able to get by. Don’t even mention if you run into someone coming along with a cart carrying things. If that happens, you need to climb up on a doorstep, squeezing yourself up against the door itself. Some of these narrow streets eventually open up a bit wider, sometimes ending at a canal where you can take in a different sort of view of the city. These are great points for taking unusual photos. Often at the end of these narrow alleys, you find yourself in a small square, all calm and quiet, and centrally adorned by one of the many “vere da pozzo” or public wells that rise up majestically around the city. They come in different sizes, small and large. They can be simple or decorated with diverse stone-carved engravings, including the coat-of-arms of the noble Venice house they belonged to as well as flowers and other types of decoration. Until the early 1900s, these wells were used to draw the water which enriched the city’s subsoil. They were also specifically constructed in the courtyards of palaces or monastery cloisters, above large underground cisterns which collected rainwater. Since the post-war era, all these artesian wells have been decommissioned and are no longer used. This was particularly the case after it was found that pumping water up from underlying groundwater contributed to soil subsidence and its related problems. And so, all the wells were made unusable and closed up with metal covers. Some of these “vere da pozzo” reflect very fine workmanship. Over the years, they’ve been restored to preserve the marble and Istrian stone they are made. This has kept them intact and able to be admired around the city. Living far from the bright lights and bustling streets of the capital, and being a huge fan of all forms of art, I’m always tempted by the major exhibitions in Paris and all over Europe. 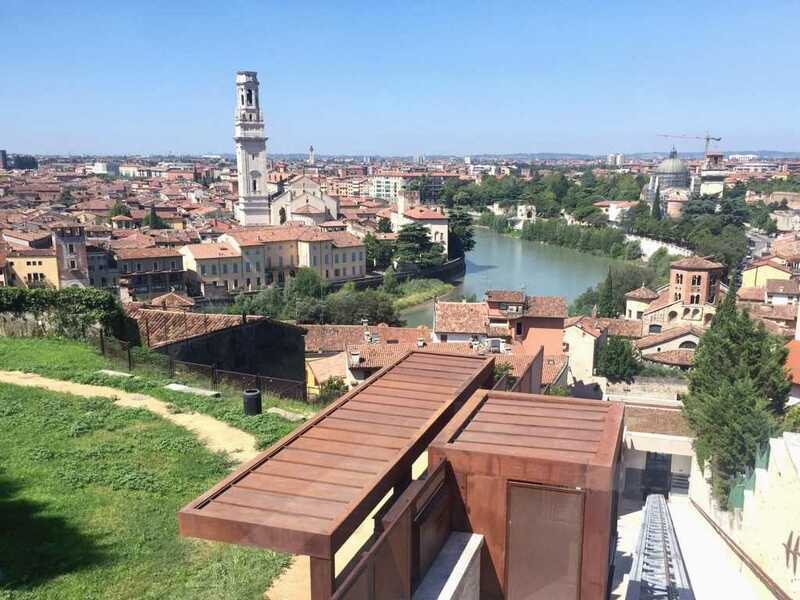 The new funicular, recently opened in Verona, transports passengers to the city’s most panoramic viewpoint at Castel San Pietro in under a minute. 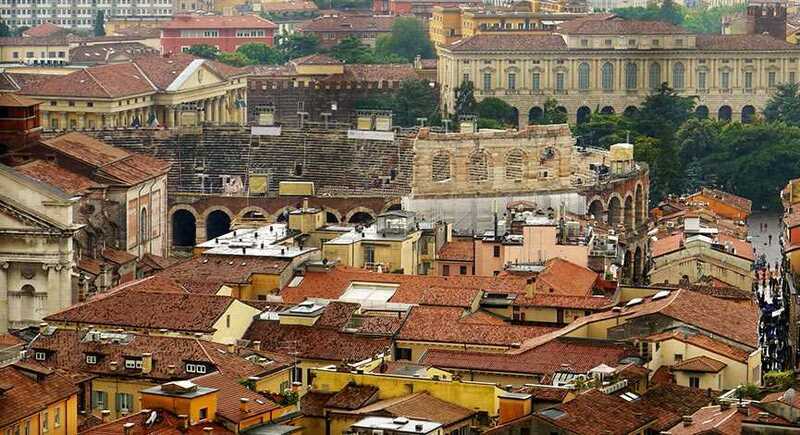 The perfect opportunity to discover nearby attractions such as the Roman theatre and the Archaeological museum.